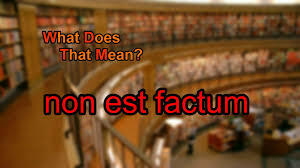 Non est factum literally translates to “it is not my deed. This principle developed to mitigate the harshness of the common law principle that a party is bound by his signature to the content of a document, whether he understood it or not. This was exemplified in the case of L’estrange vs. Graucobs. In this case, defendants sold a slot machine to the plaintiff. In order to make the sale effective, the plaintiff has to sign a document which excused the defendants from liability in case of default. The plaintiff was unaware of this and when he purchased the machine, it was discovered to be defective. The court held that the plaintiff could not have the contract canceled since he had already appended his signature to the document. The principle of non est factum was exemplified in Thoroughood’s case. In this case, Mr. Thouroughoood’s tenant, Mr. William Chicken, owed arrears of rent. Mr. Thoroughood intended to free him from liability and a document was created to that effect. The document that was created however was one that transferred the property to Mr. William Chicken. Mr. Thoroughood was an illiterate and he thus asked Mr. Chicken what the document entailed. Mr. Chicken misrepresented to him that the document was a document to cancel arrears of rent. Thus, Mr. Thoroughood signed it. Subsequently, Mr. Chicken sold the property to an innocent third party. The court held that the principle of non est factum would apply here since considering the fact that Mr. Thoroughood was an illiterate and he made enquiries as to what purpose the document was for. Thus, the deed of transfer to Mr. Chicken was void. 1. A fundamental difference: What this means is that there must be a fundamental difference between what was intended and what was accomplished by the document. In the case of case of Bagot vs. Chapman, the object intended was a power of attorney, what was accomplished by the document was a mortgage of property. If the difference between what was intended and what was accomplished by the document is similar, the plea of non est factum would not be applied. In the case of Gallie vs. Lee the object intended was disposition of property by way gift but the object accomplished was a disposition by way of sale. It was held that the rule would not apply since both end results were similar. 2. There shouldn’t be Laziness on the part of the affected party: This principle would not apply where the affected party was lazy and indolent regarding the reading of the document. If a document is given to someone who signs it without reading or trying to read it, non est factum would not be applicable. In the case of Play vs. Poland & Morris, the defendant signed a document believing it to be in respect to a dissolution of partnership. In effect, the document was one which placed liability on him to indemnify other partners in case of loss. The court held that since he didn’t make attempt to read the document or know its content, the plea of non est factum would not be applicable. The reason for this position is due to the fact that if the plea is not limited, people would take advantage of it in order to unnecessarily escape liability. 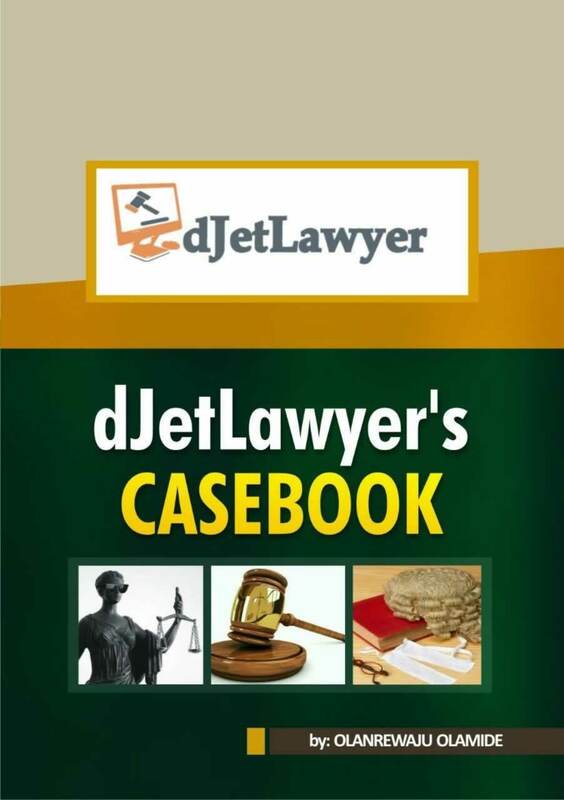 In the case of illiterates who make enquiries concerning the content of the document, the plea would be applicable. In the case of Lewis vs. Clay, the defendants signed as witness in a particular deed by a third party. They couldn’t see the full documents and when they asked to see, they were told that they didn’t need to see the full documents, only their signature was needed. What they were actually signing was a promissory note to pay Lewis as sum of 11000 pounds. Their plea of non est factum was successful because they were not negligent in the sense that they made steps to be sure of what they signed although they were misled. They both involved the disposition of property.